Though a jury suggested Samsung pay Apple just over $1 billion for patent infringement, the iPhone maker plans to ask a judge for three times that amount, according to a new report. Citing "multiple legal sources," The Korea Times reported on Wednesday that Apple's legal representatives plan to ask U.S. Federal Judge Lucy Koh for $3 billion in damages from Samsung. When a jury determined in August that Samsung had infringed on Apple's patents, it recommended damages be paid to the tune of $1.05 billion. A "reliable source" quoted in Wednesday's story said Apple will request from Koh that Samsung pay more than $3 billion. A hearing between the two companies is scheduled for Sept. 21. "The decision means Apple wants to quickly address the harm that Samsung's infringing products are said to be causing," the source reportedly said. "As has been the case throughout this trial, Apple is pressing its full advantage over the jurors' decision." 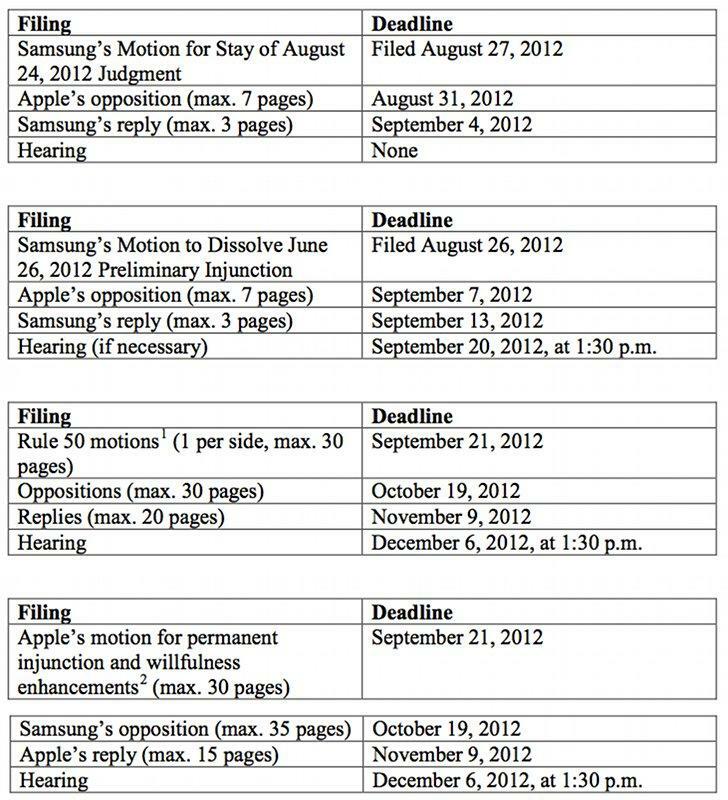 Filing deadlines in the ongoing dispute between Apple and Samsung. If Apple does in fact choose to ask for $3 billion in damages, it would be the largest ever payment sought in a technology patent dispute. While Apple is apparently set to seek a record amount of money, Samsung is hoping it will be able to convince the judge to toss out the jury's ruling. The company has also vowed to appeal in court.